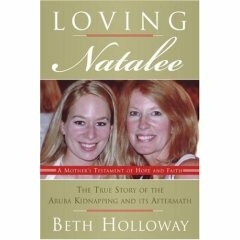 Beth Holloway Twitty discussing her new book, Loving Natalee: A Mother’s Testament of Hope and Faith. Also joining us will be LaDonna Meredith with part 2 of a discussion of human trafficking and the Jessie Foster case. A reminder to all … Beth Twitty will be on Scared Monkeys radio this evening on the Dana Pretzer show discussing her new book, Loving Natalee: A Mother’s Testament of Hope and Faith. Tired of hearing the same four questions asked by the MSM? Listen tonight and hear Beth Twitty discuss her book, her daughter Natalee’s disappearance and her faith that has got her through the terrible ordeal. You also have the opportunity to ask questions. Leave questions in the comments that you would like to ask and we will try to get them answered. Hollywood agent Ed Lozzi discusses the Zsa Zsa Gabor lawsuit against daughter Francesca Hilton which was recently thrown out of court. Lozzi is also the former publicist for the late Lana Clarkson. Music producer Phil Spector is currently on trial for her murder, and he will be discussing the trial.